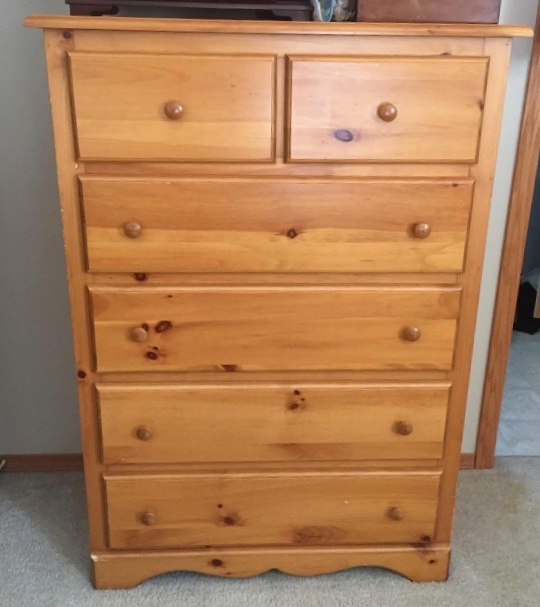 Her request was that it be refinished in navy and she brought me the hardware she wanted to switch out to as well. 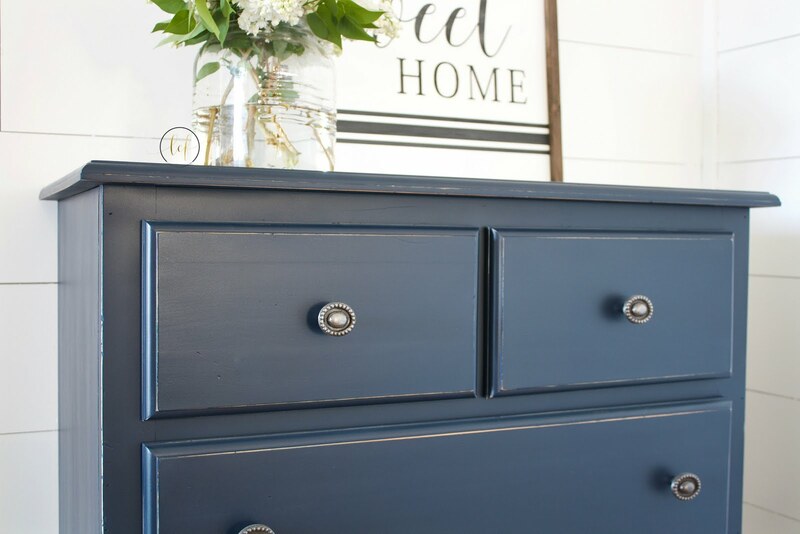 When it comes to navy, my go-to is Peacoat from Country Chic Paint. It's the perfect navy - not too royal blue and not too dark. I prepped this piece with a good cleaning and then sanding. I generally prep sand by hand, but because this piece was stretches of flat straight wood, I used my orbital sander to scuff up the surfaces. I vacuumed it well and then applied two coats of Peacoat. I lightly distressed the edges of the dresser to give it extra depth and character and then gave it a couple coats of poly in a satin finish. I love the gunmetal finish of the new knobs paired with this colour! 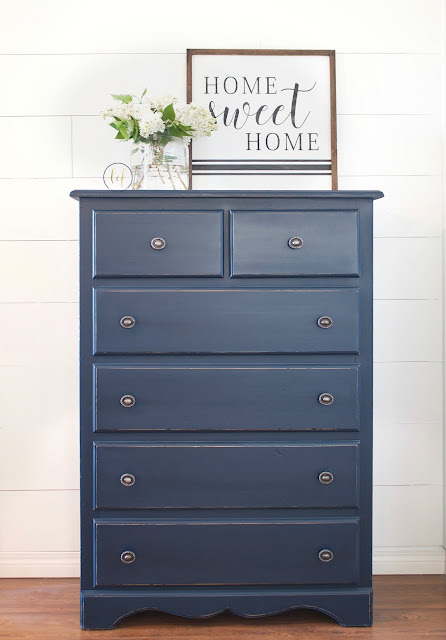 If you have pine furniture in your house that needs some freshening up, don't hesitate to paint it! In just a couple steps you'll have a custom piece that suits your home decor! 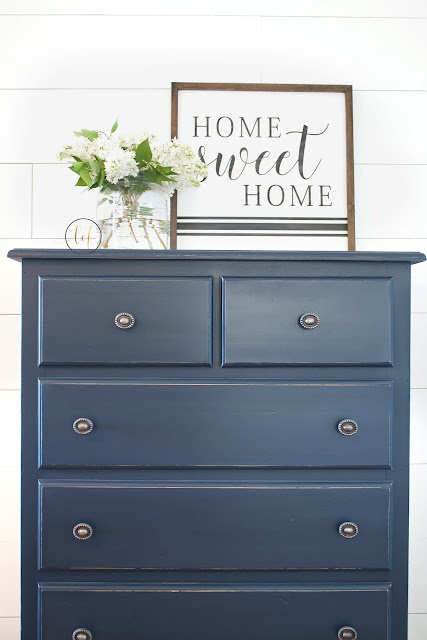 For more inspiration, make sure you're following Country Chic Paint on Facebook!